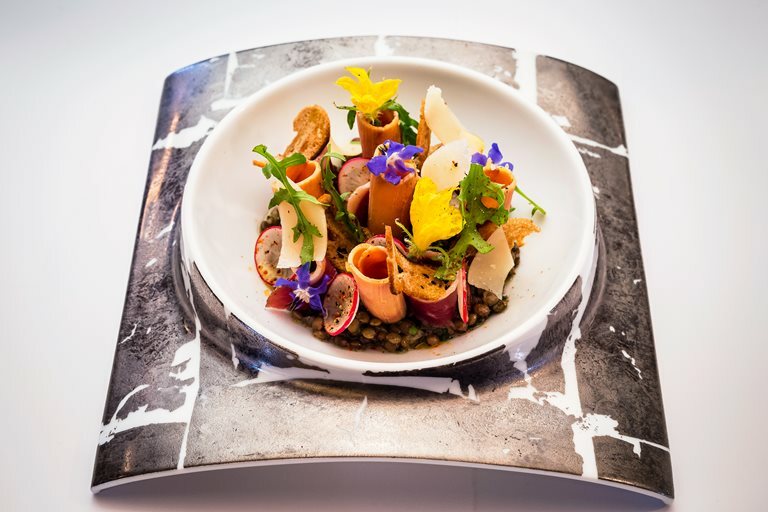 This vibrant salad recipe from Xavier Boyer has a lot of contrasting flavours from rich foie gras to spicy wasabi and earthy lentils. The recipe does require precision and a few days preparation. You will be required to cook sous-vide so make sure you have the correct equipment before you begin this dish.